Over the entire period of its independence Belarus has never been a respondent in an investor-state dispute. This remains so despite the fact that the country adheres to active policy of investment promotion. According to public data in 1st quarter of 2017 the leading investment partners of Belarus originate from the Russian Federation, Ukraine, Cyprus and the United Kingdom. To date, the most known examples of disagreements between Belarus and foreign investors include the cases of Baltika vs. Krynica (compensation of 10.7 million dollars USA), Alfa-Bank vs. Brestenergo (compensation of 18.5 million dollars USA), UBIG (Lithuania) vs. Minsk City Executive Committee (compensation of 30 million dollars USA). 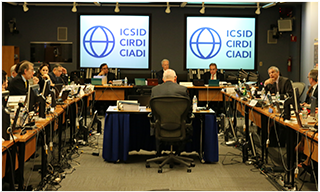 In addition there was an ICSID claim filed 2013 against Belarus by the foreign investor Henadzi Mikhailenko (Ukraine) (the claimed amount – 175 million dollars USA). None of these disagreements, however, resulted in proper investor-state proceedings. A new ICSID claim against Belarus? This time a Russian investor likely intends to file an ICSID claim against Belarus. The history of the disagreement is a follows. In 2003 as a result of a tender Belarusian government concluded an investment agreement with a Russian company Manolium Processing. According to this agreement the investor obtained a land plot to build a business centre and a five-star hotel. The total cost of construction estimated 500 million US dollars. In its turn the investor obliged to invest 15 million US dollars in a trolleybus depot and 1 million US dollars in the National Library construction. Manolium Processing fulfilled its obligations on the investment in state construction. Nonetheless he never received the land plot. The investor tried to restore its rights within the Belarusian court. The outcome of the several-year court proceedings is far from satisfactory: Manolium Processing has not received neither the land plot nor its investments back. Apart from that, the courts obliged it to pay the damages to Belarus. As a result in the early May 2017 Manolium Processing submitted a pre-arbitration request to the Belarusian authorities which gave Belarus six months to find the ways for amicable settlement of the dispute. The sum at stake amounts to 200 million US dollars which includes 171 million US dollars of lost profit and 37 million US dollars of expropriated property. In case of failure to settle the dispute by negotiation Manolium Processing intends to recourse to ICSID. Why no investor-state disputes against Belarus? A question arises why there have never been proper arbitral proceedings against Belarus before. Belarusian Law on Investments contains a provision on protection of foreign investors’ rights and rules for the investment dispute resolution. Article 13 of this law governs the dispute resolution procedure: before filing a claim there is an obligation to hold negotiations between a foreign investor and Belarus. In this way the pre-arbitration negotiations and the fact that no arbitration claim was filed against Belarus can evidence that the provision on obligatory amicable dispute resolution has its effect in the investor – state dispute settlement.